Buying gifts for newborns is tough. They don’t care what you get them – all they want to do is eat, poop and drool. But when a friend or relative has a baby, you’re obligated to buy their new little person a present. So, what I like to do is get something that their parents will get a kick out of. 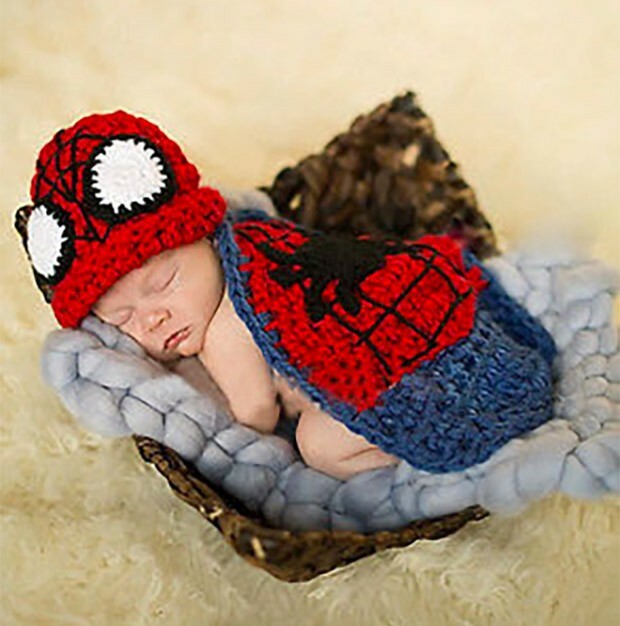 And if you know someone who is about to have a child and they are into the comic book scene, then these insanely adorable crocheted superhero costumes will wow them. 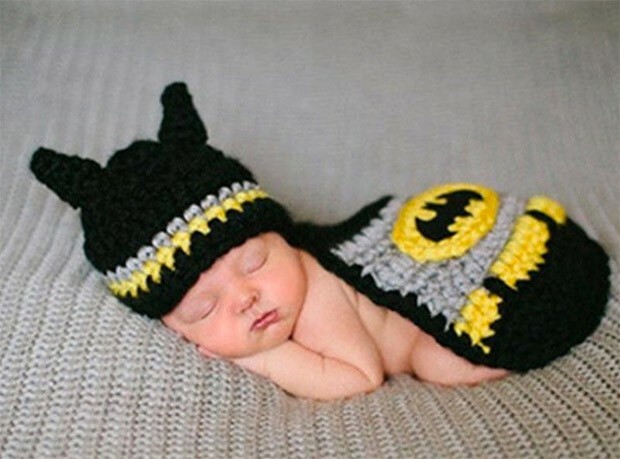 Created by artist PropsandPoses, they’re knitted from soft cuddly wool and are made for ages 0 to 6 months. 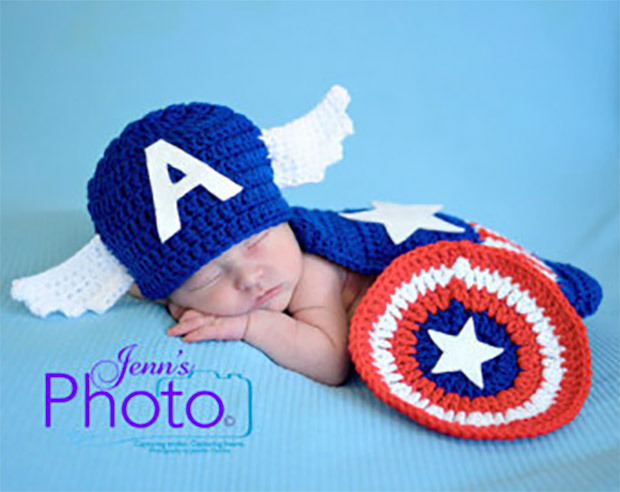 They come in Batman and Spider-Man versions, as well as my favorite, Captain America, which features awesome white wings that flutter on the sides of a dark blue knit cap. PropsandPoses gets 109, 5-star reviews on Etsy, which is a pretty good sign that people like their handiwork. But the best indication of how great these outfits are will be when the comic book geek parents you give them to immediately take them from the box, put their baby in them, start snapping pics and posting them to every social media account they have.